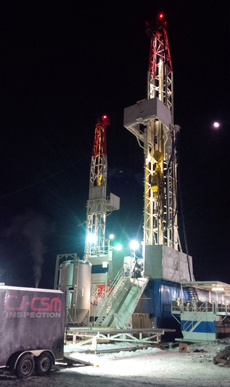 CJ-CSM Inspection has the capabilities of inspecting tubing at the rig while pulling out of the well. Whether a conventional rig, slant rig, or snubbing unit, CJ-CSM can inspect any size tube in any condition. If tubing/casing is internally or externally coated, rusty, oily, waxy, scaly, etc. CJ-CSM can confidentially inspect without any issues due to the non-contact 3D inspection system. 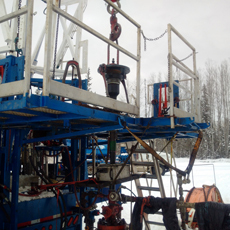 CJ-CSM can inspect drill pipe while pulling out of the well. 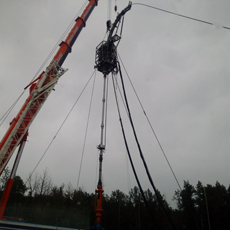 We use a low height inspection unit that doesn't falter rig operations. 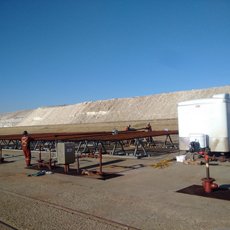 CJ-CSM is capable of inspecting coiled tubing on-site while coil operations are in progress or hang off strings are being pulled. Please contact CJ-CSM to further discuss options and inspection techniques used while on-site. CJ-CSM can provide Full 3-D Tube Body Inspection, Drift, Visual/Dry/Wet MPI on Pin/Box ends on site at your convenience. CJ-CSM can provide Full 3-D Tube Body Inspection, Type I, II, III, IV and V inspection of drill pipe, drill collars and drill tools subs and misc. pieces. 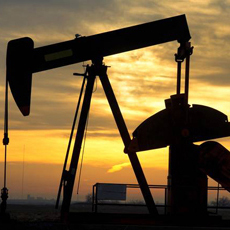 CJ-CSM can inspect Sucker Rod and Continuous Rod while POOH without faltering rig operations. 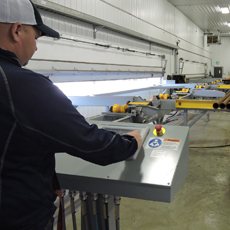 Our automated inspection facility is capable of inspecting any size and range of tubing, casing, or drill pipe. 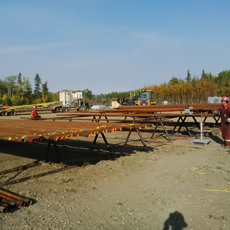 Along with the inspection services, CJ-CSM provides threading service, tong service, tube cleaning, and pipe storage. 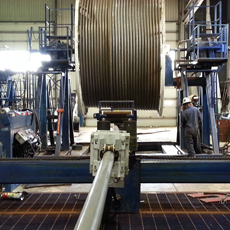 CJ-CSM is capable of inspecting any size coiled tubing and is certified to repair coil on-site. Please contact CJ-CSM to further discuss inspection techniques and options. While training, engineering or performing optimization services, CJ-CSM strives to provide our customers with quick, accurate data to ensure they can make informed, timely decisions. 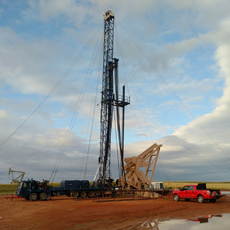 Doing this helps eliminate or reduce down time and maximizes the production and profitability of our clients gas and oil wells.